As the fall semester winds down and students scramble for Christmas-break jobs, I can’t help but remember a three-week holiday stint at the Western Sizzlin’ Steak House when I was a junior in college. It was 1974 and salad bars had not yet come into vogue. Not in Nashville, Tennessee anyway. I was to be the Sizzlin’ “salad girl,” making the grand sum of $2.10 an hour. No tips. After customers took a tray, silverware and a paper napkin from the START HERE station, they began traveling down the serving line and peering through the Plexiglas barrier that separated them from the kitchen staff and food. They came to me first. “Would you care for a salad tonight?” I’d ask in my friendliest voice. If the customer said yes, and they almost always did, I would hand them a flimsy faux-wood bowl pre-filled with Iceberg lettuce, shredded carrots, two wedges of winter tomato and croutons that came straight from a box. I know they came straight from a box because I was the one who had prepared the salads half an hour earlier. 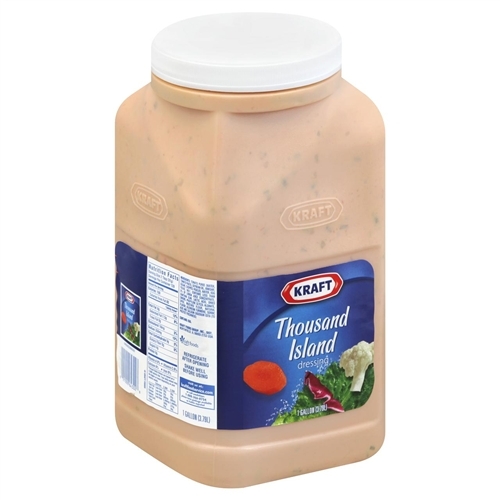 Funny thing was, back then almost everybody wanted Thousand Island dressing on their salad. Nowadays, I don’t even know if you can find such a thing in a restaurant unless you’re ordering a Reuben sandwich. I suppose its popularity waned when Ranch dressing came onto the scene, though I don’t know that for sure. After departing my station, customers moved down the line to order their steak, which was immediately slapped onto the hot griddle. Then they were handed a foil-wrapped baked potato (with butter AND sour cream at no extra charge) and chose a dessert and drink. By the time they reached the end of the line and paid the cashier, the steak was ready. The system was extraordinarily efficient. I don’t know how many customers we served during the typical dinner hour, but it was aplenty. My first night on the job, a Friday I believe, I served salads for four solid hours without a break. It was mind-numbingly boring. But I kept a smile on my face and a lilt in my voice and couldn’t understand why, as closing time approached, the restaurant manager motioned me into to his tiny office in the back corner of the kitchen. My heart was hammering. Was I in trouble? Had I done something wrong? Was I about to be fired from my lucrative Christmas-break job? Unfortunately, I’ve used up my allotted column inches for this week. So you’ll have to wait a few more days to see how this gripping tale comes out. I’m betting you were being too nice and that, somehow, slowed up the number who could pass through the line in a given amount of time.